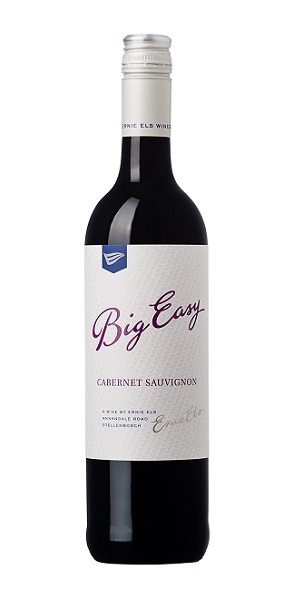 Ernie Els Big Easy Cabernet Sauvignon is medium bodied with a crimson core and purple edge. Red fruits on the nose suggest a more elegant guise, leading to a serious palate with gritty tannins. Notes of wet earth and tobacco blend with creamy oak, sweet spice and milk chocolate. Plush, ripe plums and Morello cherries line the palate through to a soft, almost tropical, finish. The rich 2017 tannins will integrate over the next few years as the wine gathers more complexity. string(589) "One of the most ubiquitous grape varieties in the world; Cabernet Sauvignon. Together with Pinot Noir it vies for the crown of greatest red variety in the world. So multifaceted and so adaptable, it is as happy in the Pauillac vineyards of Château Latour as it is in the high altitude vineyards of the Andes. So suited to oak and with a firm tannic backbone, it is very often utilised as part of a blend. Though Bordeaux is its natural home, it has spread through the wine world, finding notable homes in Stellenbosch, Coonawarra, Langhorne Creek and the Barossa Valley to name but a few." Available for delivery within 10 working days. Delivery within mainland UK is free for orders over £75.00. Introducing a new face to Frontier Fine Wines!